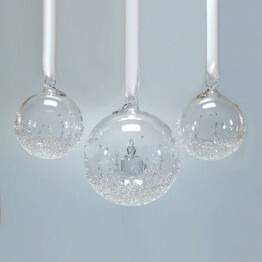 This christmas ball ornament set is part of the Christmas Balls Collection. 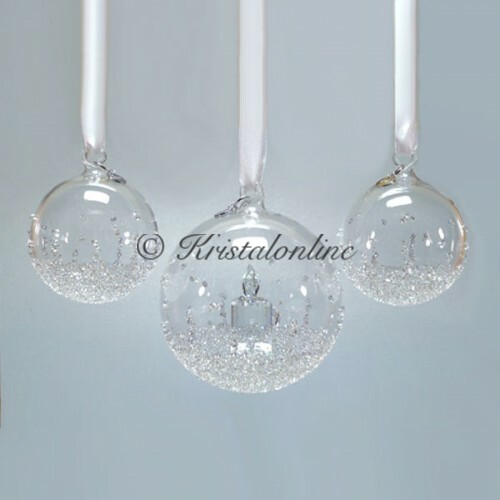 The christmas ball ornaments are made of clear crystal. 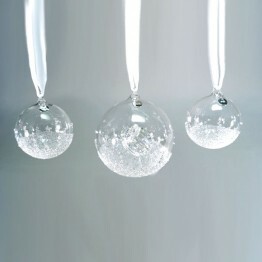 The balls are decorated with hundreds of little crystals on the outside. 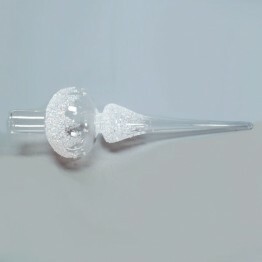 The large christmas ball is made with a candle on the inside, with a silver-tone metal tag showing the year of issue. They hang on a white satin ribbon.